Source: Wines of Argentina | Wine Spectator. James Molesworth, senior editor of Wine Spectator magazine, presents Malbec wines from three diferent regions of Argentina. 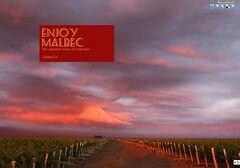 Wine Spectator from wines of argentina on Vimeo.